· We accept returns with receipts and original packaging within 30 days of your purchase. To be eligible for a return, your item(s) must be unaltered and unworn. · We will issue store credit for any unaltered and unworn item(s) within 60 days of your purchase. · All sale items and custom jewelry are not eligible for return. 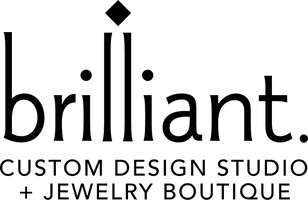 To return or exchange online purchases, please contact online@brilliantatlanta.com or call 770.649.1901. We recommend sending your return via trackable shipping service (FedEx, UPS or USPS) and purchasing the correct amount of shipping insurance. Return shipping charges are non-refundable. Once your return is received and inspected, we will send you an email to notify you that we have received your returned item. If eligible, your refund will be processed, and a credit will be applied to your original method of payment.